The image above is indeed the cover for GosT‘s latest release, Possessor, released through Blood Music, home to other infamously perturbing artists such as Perturbator – pun intended-. Expect what you see: a dark, twisted ride through abrasive sounds and a deeply atmospheric vibe. However, the special quality of Possessor comes in what’s between all the roughness, evolving the release into a surprisingly nuanced, melody-driven LP delivering delightful, almost dance-like moments among the stress and desperation of its Metal background. Upon closer inspection, GosT displays a remarkable level of clarity in his proposal throughout Possessor. Cuts such as Garruth or 16 A.M. start without any non-sense – as loud as possible – before devolving into slightly more accessible steady beats, elevated by the god-tier synthesizer work displayed throughout the album. Both tracks quickly up the ante towards the end, providing outros just as alienating as the starting notes. 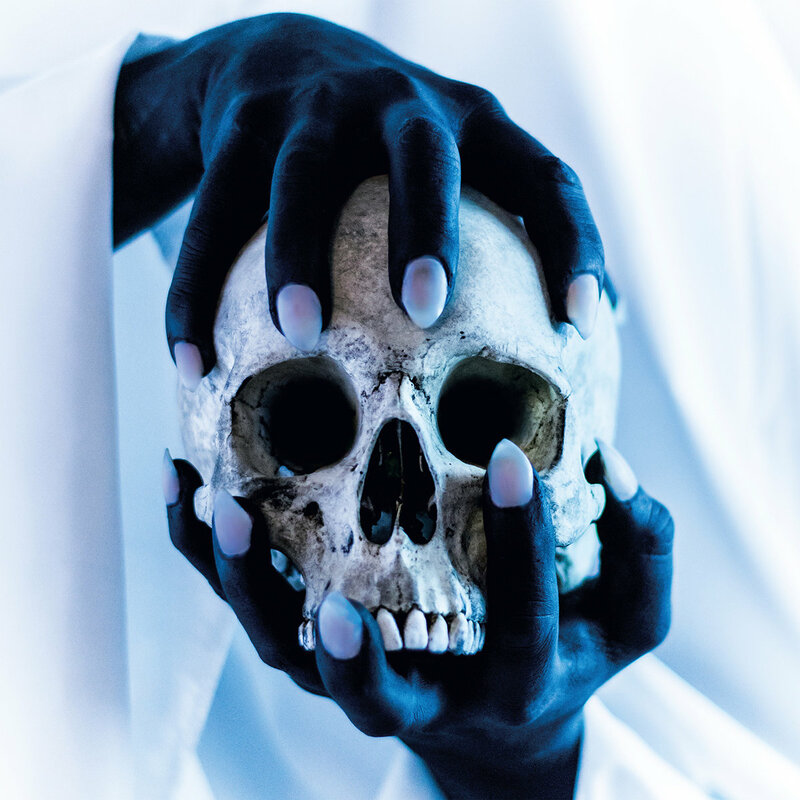 GosT takes good care of relieving some of the anxiety with cleverly programmed stops such as The Prowler, but make no mistake, as it continues to find ways of upsetting the audience: If he wants you, he’ll get you sounds towards the end of the track. On the other hand, Sigil and Malum share and 80s pop aesthetic, representing the most approachable sections of Possessor. Possessor is, without a doubt, GosT‘s best LP to date. With complete control of his abrasive production style and the melodic synths accompanying it all, the record results in a mesmerizing blend of everything that makes this artist so unique. I urge you to give this a try, as you will rarely find something remotely similar. A one-of-a-kind experience by a musician at the peak of his disturbing power. Favorite tracks: Garruth, The Prowler, 16 A.M., Legion.